Founded in 1912, Taishodo confectionary store has been making Japanese confectionary in the iron-casting town of Hada for over a century. 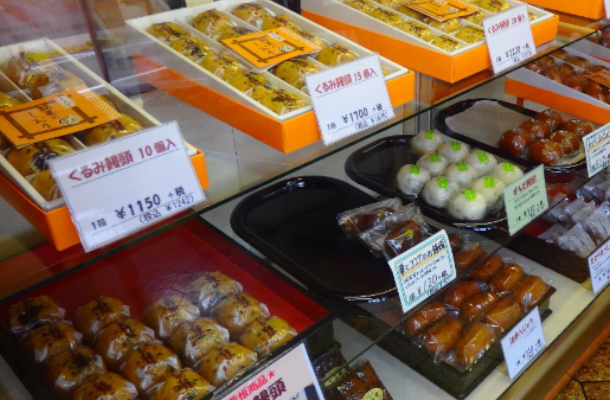 Don’t miss their walnut manju which is not only a hit with the local populace, but also attracts customers from far and wide. 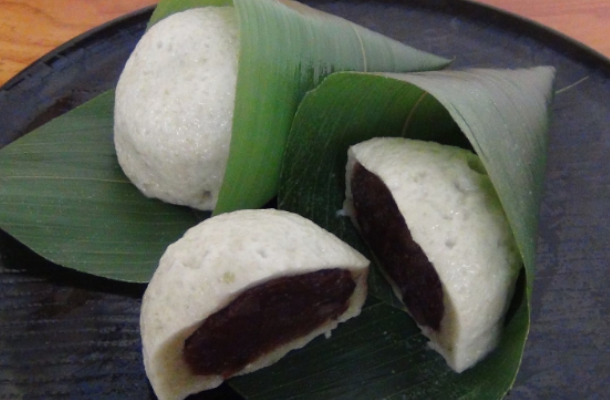 Other popular sweets are the chestnut and cocoa manju, containing a whole chestnut inside, and brown sugar steamed bread called ganzuki. Both have a simple flavor typical of Iwate and make great gifts. Aside from the regular favorites, there is also a great selection of seasonal sweets. Small in size but big on bean paste filling. Can be addictive! 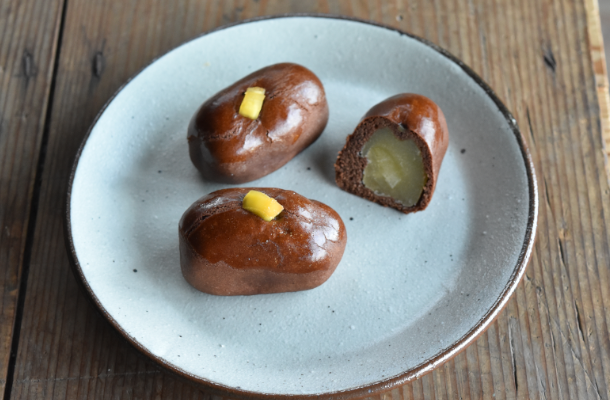 The chestnut and cocoa manju is a joy to eat, with a whole chestnut hidden inside. Taishodo confectionary is a favorite among OIGEN staff. The fu-manju is only available in summer. 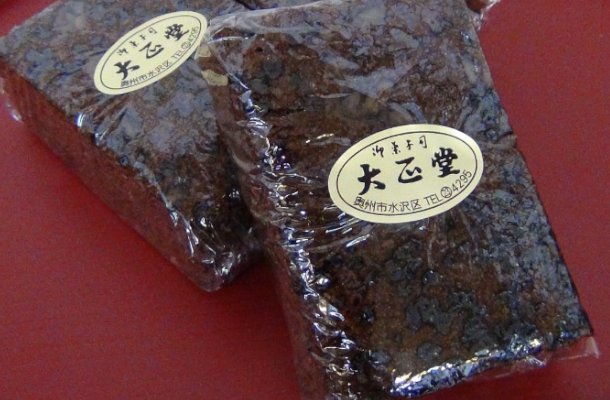 A divine combination of soft wheat gluten and sweet bean paste. Enjoy it with a glass of cold tea. 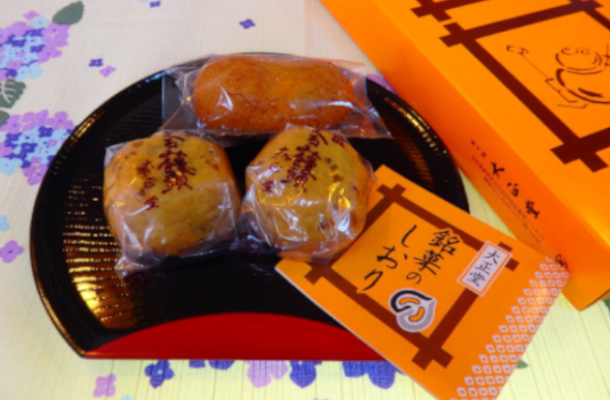 Brown sugar steamed bread known as ganzuki is popular around northern Tohoku. Taishodo’s ganzuki has a soft yet firm texture. 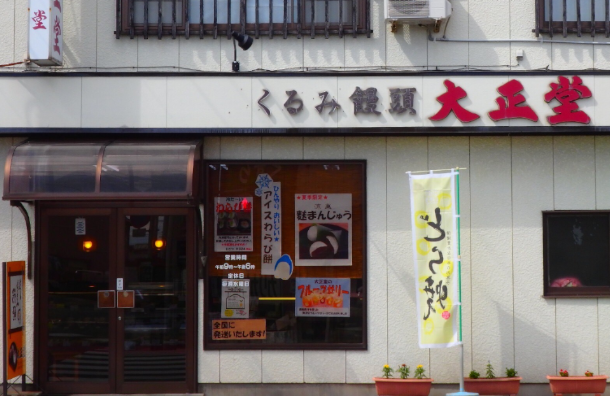 Close to Mizusawa Esashi Station, Taishodo is one of the few shops near OIGEN that preserves traditional flavors of the past to this day. The shop has a throng of loyal customers who come regularly for a dose of their favorite treats, and first-time customers will also likely feel something nostalgic in the taste. Stop by on your way home from OIGEN to pick up a quick snack or gift for your family back home.